PAKISTAN 1 RE ISLAMIC SUMMIT CONFERENCE 1977 UNC LOOK!!! 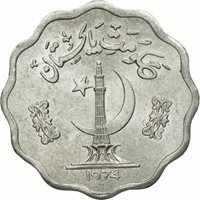 Pakistan 10 Rupees. 1st Death Anniversary of Benazir Bhutto. Commemorative coin. 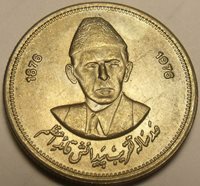 Pakistan 1 anna 1954 RARE!